On the 1 & 2 August 2014, multimedia cultural events organisation, Cryptic celebrated its twentieth birthday in a night-time nautical outdoor extravaganza presented in partnership with Glasgow Science Centre and in association with Walk The Plank, All Or Nothing and The Royal Navy. After tickets for the event selling out a number of times over, Inner Ear were brought in to the project to provide a live stream of the celebrations, allowing everyone to join the party live for a memorable night featuring live music, aerial dance, fireworks and spectacular visuals on the dynamic and inspiring waters of Glasgow’s River Clyde. 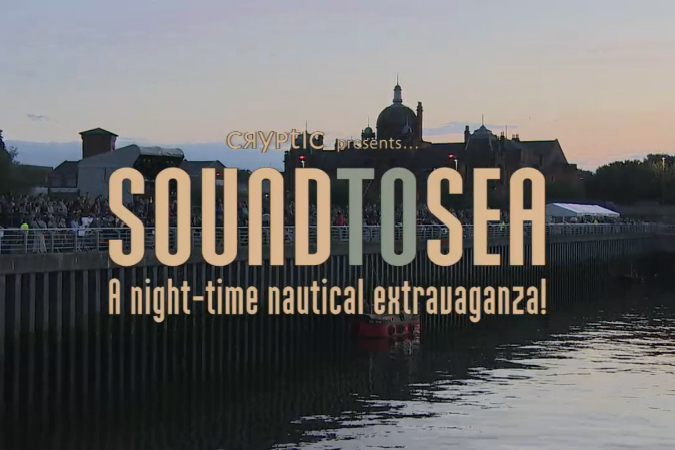 Sound to Sea was broadcast free and made accessible for all to enjoy as part of the official Glasgow 2014 Cultural Programme. You can now watch the full event and each of the live performances back anytime from the comfort of your own home or request a free HD download and screen to your local community – schools and nurseries; youth and sports clubs; committees and church guilds, Sound to Sea is free and accessible for all to enjoy. The evening’s events were tremendously well received amongst the many viewers both online and at the River Clyde itself. Below, see some of the Twitter response to the fantastic show. To find out how Inner Ear can provide live streaming for your event to help you reach bigger audiences, engage viewers and increase publicity, get in touch to discuss your project with one of our team.